This section contains the electronic archive of the Journal. All published papers may be downloaded for free. 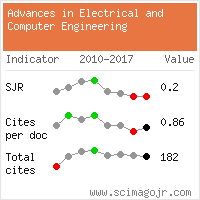 A complete list of references is available for every paper. The "Cited By" link displays the papers citing the document you are viewing. A citation is available for every paper and you may select the citation format at your convenience.